FlyingYak.Buenos Aires, Argentina. Travel Reinvented. Buenos Aires, Argentina’s big, cosmopolitan capital, is known for its European atmosphere, passionate tango and vibrant nightlife. Its center is the 16th-century Plaza de Mayo, lined with stately buildings including Casa Rosada, the iconic, balconied presidential palace. 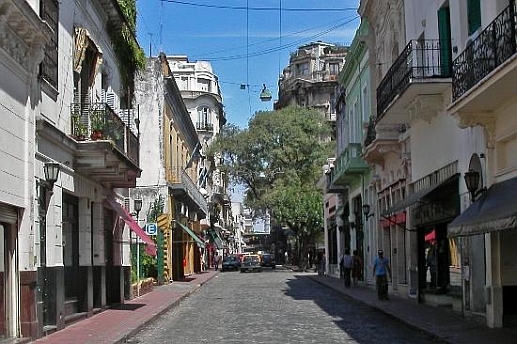 Buenos Aires also has one of the largest homosexual communities in Latin America. The city is a top tourist destination, and is known for its European-style architecture and rich cultural life. Visitors have many options such as going to a tango show, an estancia in the Province of Buenos Aires, or enjoying the traditional asado. Some nationalities can get 90 days on entry. Andorra, Argentina, Armenia, Australia, Austria, Barbados, Belgium, Bolivia, Brazil, Bulgaria, Canada, Chile, Colombia, Costa Rica, Croatia, Czech, Cyprus, Denmark, Dominican Republic, Ecuador, El Salvador, Estonia, Finland, France, Germany, Greece, Grenada, Guatemala, Guyana, Haiti, Hong Kong (S.A.R. ), Honduras, Holy See, Hungary, Ireland, Iceland, Israel, Italy, Jamaica, Japan, Kazakhstan, Latvia, Liechtenstein, Lithuania, Luxembourg, Macao, Macedonia, Malaysia, Malta, Mexico, Monaco, Montenegro, Netherlands, New Zealand, Nicaragua, Norway, Panama, Paraguay, Peru, Poland, Portugal, Puerto Rico, Romania, Russian, Saint Kitts and Nevis, Saint Vincent and the Grenadines, San Marino, Santa Lucia, Serbia, Singapore, Slovenia, Slovakia, South Africa, South Korea, Spain, Sweden, Suriname, Switzerland, Thailand, Trinidad and Tobago, Turkey, UK, Ukraine, Uruguay, U.S.A., and Venezuela. If you are Australian, Canadian or from the USA you will need to pay the "Reciprocity Fee". US$160 for USA, US$100 for Australians and Canadians. You can pay it online before arriving then show them the print out. Everyone else needs to apply for a visa in advance. Argentina has a working holiday visa agreement with New Zealand. Buenos Aires is a gorgeous city, but at the end of November, when the Jacaranda trees that line seemingly every street are in full bloom and have carpeted the grass beneath them with their purple petals, it is truly sublime. Plus, empanadas. Find free things to do in Buenos Aires with this guide from National Geographic. Imagining yourself actually living in a city you are visiting is fun, immersing, keeps you away from tourist traps, and commits a city to your memory in a wonderful way. In the case of Buenos Aires, however, you might really do it. You might actually pull-up stakes and move here. Buenos Aires resonates with people in a way that I've never seen in any other city. Buenos Aires just feels... "doable!" Replacing reverie with reality is actually easier here compared to most great cities. But your dreams will hit a bump at rental real estate. Don't get me wrong, mere lodging is easy. There are lots of landlords who specialize in renting to foreigners and, of course, there are hotels and hostels galore. But if "living like a local" is your thing, you'll need to know how to "rent like a local." Renters here employ all the big-city techniques like perusing the classifieds, strolling through your favorite neighborhoods looking for a nice old lady just placing a "for rent" sign in the window, asking the doormen if they know of anything. You need to do that too if you want a great place at a great price. Once you've found one, however, both you and the local renter are in the same boat. You're up against La Garantía like everybody else. In the "uncivilized" world where you come from, landlords can evict non-paying tenants with relative ease. In Buenos Aires, the courts examine every eviction request very carefully before using the police as the landlord's bouncers. The general rule of thumb here is that it takes 2 years to evict a tenant for non-payment of rent. If there are children or elderly tenants, it can take longer. Therefore, all landlords ask for una garantía, a security in the form of a piece of real estate which they can attach in case their new tenant stops paying the rent. It's like a security deposit except that you have to pay that too! Think of it as proof that you come from a good family as it is usually provided by a family member. If that sounds classist, it's because it is. It's no coincidence that comparably-sized hovels in shantytowns can rent for more than the dreamy little one-bedroom you just found in my tony neighborhood. What's an authentic, mindful boy from a western industrialized country to do? Negotiate, educate, and use classism to your advantage. First, don't haggle on price. Any landlord who can be convinced that you are good for the money, is already convinced that you actually have the money to spend. If the asking-rent is too high for you, walk on down the line. There are lots of apartments in Buenos Aires. Haggling on price undercuts your position of "being from a nice family." Second, in lieu of a guarantía, offer to pay 6 months to 1 year's rent in advance. This will be in cash, of course, in Argentine pesos. That might sound like a big expenditure and, "back home" working from paycheck to paycheck, it would be. However, if you have the wherewithal to pick up and move to another country for a year or two, you've saved and budgeted your housing expenses. Spending 6 to 12 months of it all at once can bring you peace of mind and give you entry to the more affordable local apartment market that you can't otherwise get. Keep in mind that, due to inflation, every landlord in Buenos Aires is certain that the amount in the lease will be worth 30% less only one year later. Most standard leases have clauses allowing the landlord to increase your rent if the currency collapses. Your paying 6 to 12 months at closing should keep you clear of these clauses and should be considered manna from heaven by your landlord. Furthermore, you will have changed your foreign currency for pesos at the "blue" market rate of nothing less than 12 to 1 making this more affordable. I suggest that you place the stack of currency on the table at the beginning of the meeting. Buenos Aires is a very cash economy and society. The sight of large amounts of currency will not make you look like a gangster. Third, 1 year leases are very rare in Buenos Aires. Agree to the standard 2-year lease but don't pay more than 1 year in advance. If you still like the place after a year, continue paying 6 to 12 months in advance. If you decide in the meantime that the place is not for you, leave the place in good condition and let your landlord keep your security deposit. No harm, no foul. Fourth, in my experience, landlords in any country are the worst of all businessmen, if indeed they count as businessmen at all. Anyone with any brains could convert that salable pile of bricks, mortar, and tax and insurance liability into something that pays a higher return than renting space to strangers on 12 to 24 month fixed leases. Nevertheless, keep in mind that they regard themselves as on a par with heart surgeons. If he is still recalcitrant or outright refuses, put the pesos back into your pocket. It will be shocking for him to see that money disappear. Fifth, from your other pocket, remove a roughly equivalent amount of United States $100 bills and place them on the desk (neither euros nor pounds will work.) Rudimentary Spanish might help at this point but, as this is a landlord, this is not strictly-speaking education. Working with symbols and gestures should be all that is necessary. If language is an option, however, you can try to explain that you, as a foreigner, are much more likely to leave early than to stay and refuse to pay your rent and that you have very little recourse to the legal system. Don't count on any of that having any great impact. Should, however, your potential landlord suddenly appear amenable, agree to nothing more than 6 months in advance. This is time to haggle ...not about the rent ...but about the exchange rate. The value of the US dollar changes from day to day, sometimes drastically to the disadvantage of the peso. Under no circumstances should you agree to a worse exchange rate than you were charged to buy those pesos in your other pocket. If the deal falls through, thank him kindly and hail the first taxi in the street and get back to your hotel. Buenos Aires is a pretty safe city ...but don't stop at a sidewalk café with 12 months of rent in your pocket. This method has worked for me more than once but, even though it makes perfect business sense, it is unheard of here. It has the potential to disorient even a reasonable landlord. We are all creatures of habit. In Buenos Aires, there are very few restrictions on street art, compared to other world-class cities. It is easy to paint: there’s no need to obtain authorization from the local authority to change the appearance of a building -- all you need is the consent of the property owner. The results are inspiring. Click to check out some of the city's most impressive murals. Be the first nomad here.